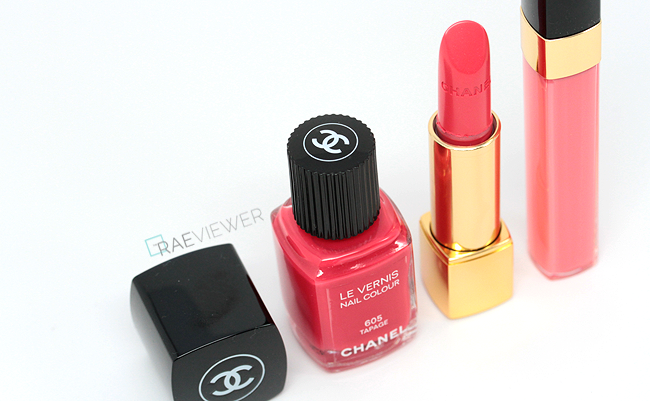 I purchased my top picks from the Chanel Spring 2014 Notes de Printemps Collection back in mid-December, and I am finally getting around to sharing my thoughts with you now! After a couple weeks of playing with the products, I found my eyeshadow purchases are some of the best Chanel investments I have made in years! Most of you know I rarely gravitate towards pinks, but I may even go back for the Illusion D'Ombre in Impulsion to wear with the eyeshadow duo. I have been asked time and time again about the Le Blush Cremes, and while they are a beautifully packaged and executed product, I would be hard-pressed to purchase another. I love the brightness of Intonation ($38 USD) since it does mimic my natural flush, but it is more of a special occasion product that I'd reach for if being photographed. If an exceptionally pretty, limited edition pale pink is released, I may leap for it. Otherwise, I still stick to my Joues Contraste powder blushes. I'm old-school like that! If you do not already own Tapage ($27 USD), run to a counter now! It is a much brighter, shimmer-free version of Coromandel. 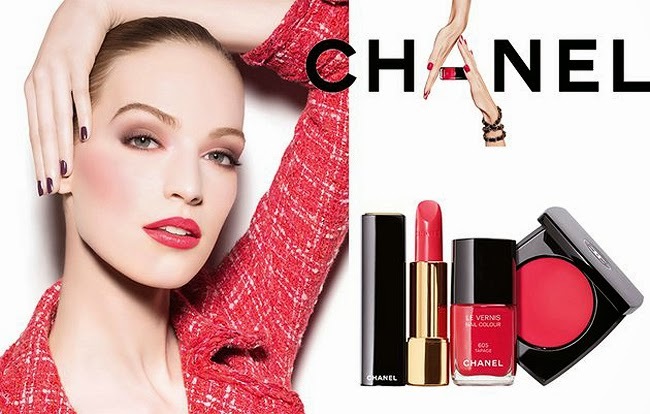 As much as I adore the cooler tones of Pirate and Rouge Rubis, I personally think Tapage is the best red nail polish Chanel has done recently. The Rouge Allure lipstick in Melodieuse ($35 USD) is the only one of the several in this collection that jumped out at me. It looks quite red in the bullet, but it translates to a softer watermelon look on my lips. It is an ideal Spring lipstick, pigmented and flattering, but I believe Melodieuse will suit very fair skin best! The Glossimer in Murmure ($29.50 USD) is creamy, milky, and pigmented perfection. 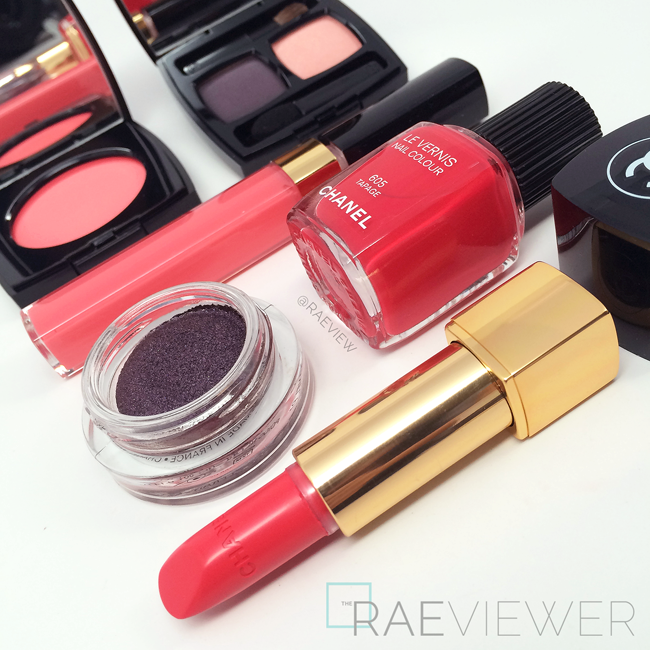 It is one of the best shimmer-less glossimers released since my Holy Grail peach, Volupte. I love how moisturizing yet long lasting this formula is! The eyeshadows in this collection were phenomenal. Though I did like the look of the eyeshadow quad, I left the pale beige and the muted lilac were unnecessary additions to the color scheme. I went straight for the 'meat and potatoes' palette, Rose Majeur ($42 USD). 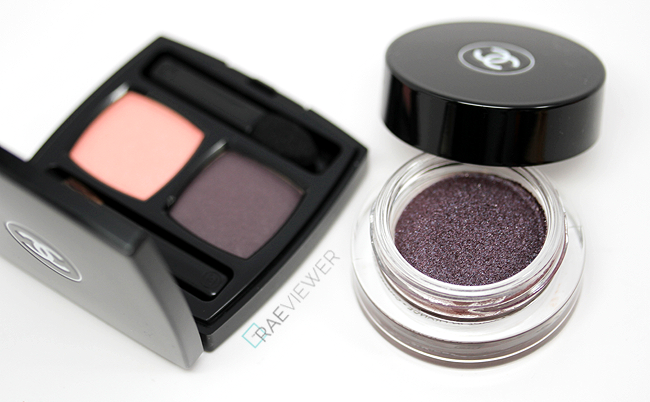 The pigmentation and blending impressed me at first swipe, but this duo must be used with an eyeshadow brush. Use a flat shader with a good amount of resistance! Also, I read some reviews that the Illusion D'Ombre in Diapason ($36 USD) had some fall out. I did not have issue with glitter falling, but it does require some patience to build up the color. Take the time to layer and you will be rewarded with a gorgeous smoky purple base and sparkling blue duochrome! My favorites from my haul, which I highly recommend, are the Tapage Nail Lacquer, the Rose Majeur Eyeshadow Duo, the Illusion D'Ombre in Diapason, and the Glossimer in Murmure. That is not to say the Intonation blush and Melodieuse lipstick are not worth the splurge! I just cannot imagine reaching for them as regularly as my favorites. Now that we have wrapped up the review, I hope you'll enjoy the review and tutorial! i like the color! orange! or coral!!!PERFECT! The eyeshadows look beautiful! I have been looking for a good duo. Thanks for the review!